Auscript today delivered hundreds of Christmas presents to the Women’s Legal Service Queensland, for the children of the community legal centre’s clients. 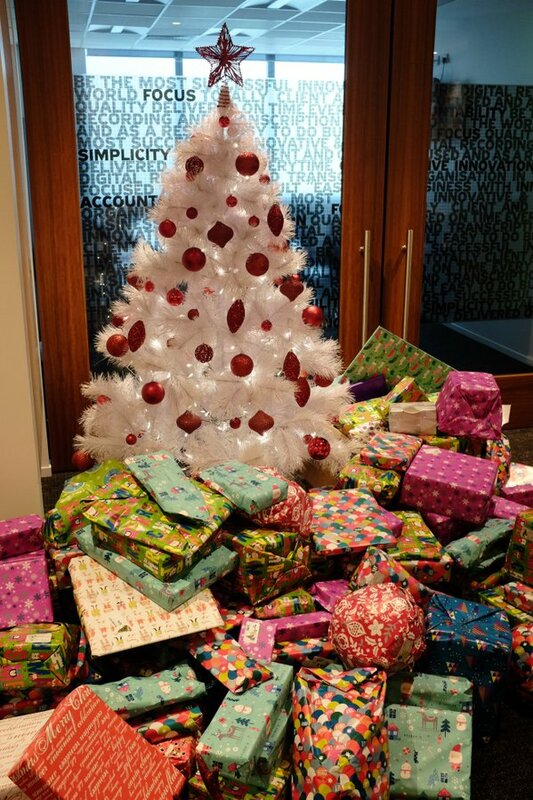 Team members from Auscript’s Brisbane City, Eight Mile Plains, Sydney and Hobart offices joined forces to donate the huge haul of presents, with the Company then matching all staff donations. Women’s Legal Service Fundraising Manager Natalie Davidson said Auscript’s delivery of toys, books, balls and teddies was one of the largest Christmas gift donations they had ever received. “The effort by Auscript staff is so generous and will be immensely appreciated by the women who access our help before Christmas,” Ms Davidson said. Auscript was also a major sponsor of the Women’s Legal Service’s White Ribbon Day Supreme Court Breakfast which was held on Monday 23 November, this week. The fundraising breakfast raised $83,000 for the service and featured keynote addresses by Dr Shannon Spriggs Murdoch and Ben Roberts-Smith VC, MG. All funds raised from the Breakfast will enable Women’s Legal Service to start a new Help Line to assist thousands of Queensland women and their children who need free legal help about experience domestic violence and complex family law matters.